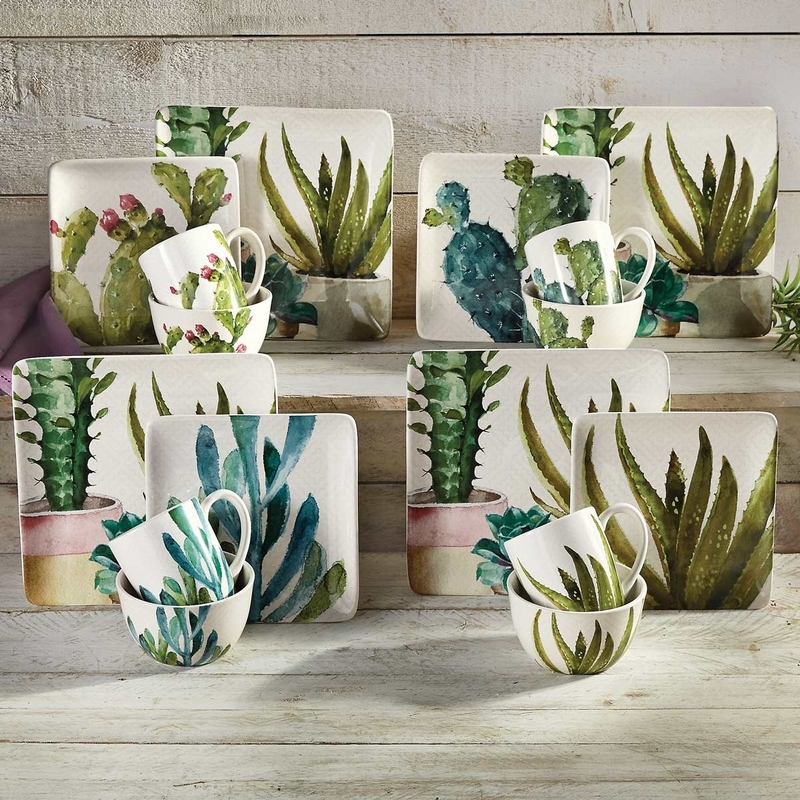 A Black Forest Décor Exclusive - Give your tabletop serene southwest southwest style with watercolor cacti and succulents on this earthenware collection. Dishwasher safe; microwave reheat only. Dimensions available online.